An organization running its project using the Project Management methods usually has a secured plan for executing project activities. But how concrete the initial plans are determines how the company will handle future elements of unpredictability in the project. A project manager with PMP Certification is able to design a good project management plan. There are a few industries where the project activities are fixed with steady roll call of deliverables. Equally, there are industries that require more flexible elements for bringing out the best output within the time and cost budget frames. On such instances, it becomes very important the initial scope plan is not so rigid. Preventing changes in the future as and when required will not only hinder the project but also jeopardize it. Having a fixed plan allows the Project Manager to draw out the future course of the project. 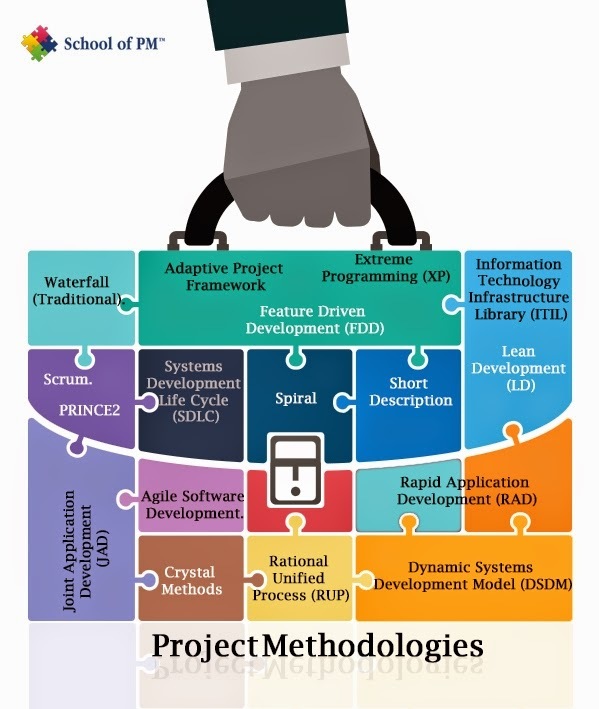 Given the predictability of the course of the activities related to project helps in turning out deliverables at the assigned time with growing familiarity of the production process. Another positive point for fixed plans is that planning for future project of similar kind could be easily handled with team’s skillset to quickly getting into the groove of things. This leads to specializing or creating a niche for a particular kind of product that has a growing market demand. One element of the whole plan that is overlooked is the growing change in requirement. The huge amount of changes that forms the part of changing scope requirement almost changes the course of the project. In such a case a good Project Manager must be able to come up with the right ways to tackle the change request from the product owners. It is important that the team is able to incorporate the changes demanded while ensuring that the fixed cost and deadlines are met with efficiency. Project Managers are responsible to tackle issues related to the efficient completion of the project. Then it becomes all the more an experiential skill to be able to balance fixed time and budget with flexible requirement. Project Managers usually will make sure that the team works towards prefixed deadline date for their deliverables with some buffer time. The extra time ensures to allow the team in tiding over the unexpected events that prevent timely delivery of the finished product of the project. Project Managers desiring to gain a PMP Certification can add industry standard recognition of being able to create a project plan and executing it efficiently. "Richard Branson, founder of Virgin Group says, "Oh screw it. Let's do it!". That's the real attitude of a leader." "Stay Hungry. Try out crazy things. One day, you’ll find yourself to be a Leader!" One fine day, two friends were talking to each other. One of the friends, who were deterred about the misfortunes and failures happening in his life, was sharing those unpleasant events to the other friend. The other friend, who quietly let his friend mourn about the bad times, is none other than Abraham Lincoln, the greatest President of the United States of America. Lincoln pointed to the board that listed all the failures and misfortunes of his own with a smile on his face. Then, the friend of Lincoln felt motivated. Well, that shows the quality of leadership in Abraham Lincoln. Having faced only failures in his life until he was 52 years, Abraham Lincoln did not give up. He tried and tried and never gave up until he reached his destination. His determination is one of the reasons for him to become the greatest President of the America. Leadership qualities could be innate or you can develop them. It is all about how you handle situations. It’s not about executing, it’s about shaping. It’s not about making rules; it’s about breaking and reforming rules. It’s not about making decision, it’s about facilitating decision. Being a leader is typically different from being a manager. Let us give you four unique qualities that distinguish a person as a leader. The first and foremost is, believing in oneself and others is the best part of a leader. Because, your belief will certainly encourage your followers, which is the second expected quality of a leader. The third attribute of a leader is to challenge. It is good for a leader to dream big, think big and do big. A leader is the one who is not afraid to take risks. Accepting challenges is always like being a leader. And, the last expected trait is to correct the team members when they go little bit off the balance and to get them back in form. All these traits in unison create the best leaders. In an organization, it is common for conflicts to happen. Managers try to avoid conflict as they want to be safe. Whereas leaders use the conflicts to bring the change in the culture or in the organization. Because, it is the leaders who would like to take different roads but not the managers. Leaders know it very well that there would be no movement or change without friction. Another best part of a leader is they release the control to the team members and give credits which the team members truly deserve without any kind of selfishness. But managers, they take credits for the success of the project. Will you admire or follow someone who takes all the credits? The answer will obviously be No. So it is good to give credits to your hard working team members. It is always the leader who is followed but not the manager. Wondering why? The reason is managers do transactions, from one end to the other. They think that is what their job is. But actually, they should be doing transformations rather than transactions. The leader is the one who brings transformations in the culture and people. They will act as a role model for their team members and inspire them to follow. Managers change things, but leaders change the world. Because, leaders have the power to transform. There is a popular line in an Apple commercial, ‘’the people who are crazy enough to think they can change the world are the ones who really do’’. Be a role changer. Be a leader. Now, do you really aspire to be a great leader than a manager? School of PM is here to lead you in the right path and shape you into a great leader with all the required leadership skills combined with project management skills. Become a great Leader with School of PM.